replace his prolonged threat to Mexico — where he said he will wait a year before he puts pressure on the country — with an executive regulation that threatens to end all remittances by illegal aliens in the U.S. back to Mexico. The ‘Remittances’ that Kobach was talking about involve money that legal and illegal immigrants who currently live and reside within the United States earn and then send back to their respective home countries! 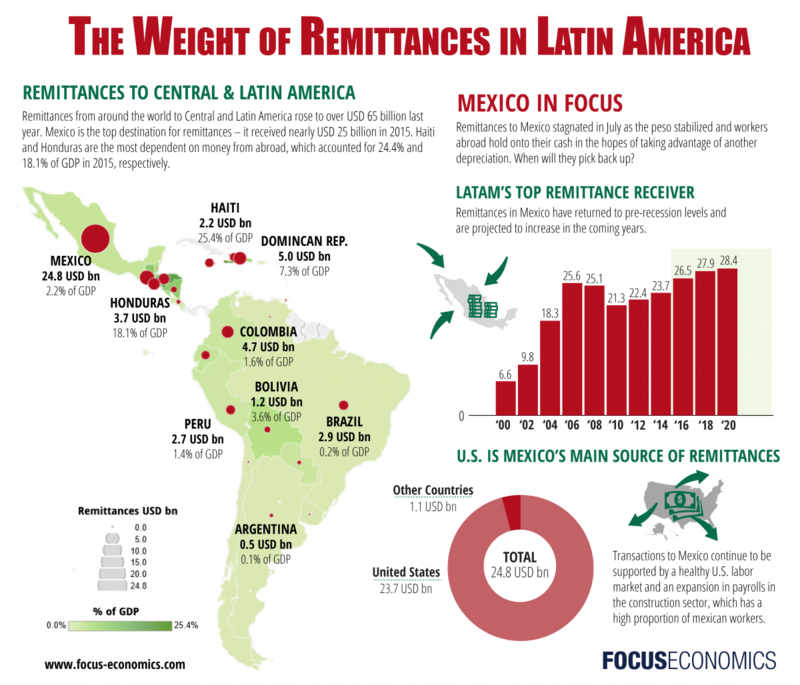 According to the World Bank report, United States remittances to Mexico reached nearly $34 billion in 2018. Pew Research reported that remittance money flowing out of the United States to nations around the world in 2017 topped almost $149 Trillion, which topped 2016 by 7%, and is expected to have soared in 2018! Ultimately, it is difficult to track all remittances, due to illegals trying to hide their existence in the United States so those numbers could be much higher! After all, it’s impossible to know exactly how much money illegal immigrants remit annually because we don’t know how many illegal immigrants actually reside in America, the process is very ambiguous, and we all know that a black market exists, and they certainly are not going to be forthcoming on numbers! America lost $138.2 billion in remittances in 2016. And given that there are some 40 million first-generation immigrants, and (at least) 11.1 million illegal aliens, this means that there are roughly 51.1 million people sending remittances abroad. But it’s not just about the money—it’s what’s happening to it. Every dollar remitted by illegal aliens is a dollar ejected from the local economy, never to recirculate or be reinvested—it goes directly to Russia, or more likely Mexico, China, and Guatemala. This reduces the velocity of money and causes liquidity problems, particularly in small towns. Therefore, they point out that Americans really should stop calling remittances…remittances, and call it for what it truly is…A TAX! The chart below also details the surge in wealth that is funneled out of the American economy, and into the Mexican, Central American, and South Amerian economy yearly! Ultimately, $20 Billion was sent out of the United States to Central American nations alone in 2018, which is up 25% or $4 Billion from 2016! As a result, slashing these remittances (taxes) would go a long distance in persuading these nations to curb the migration from and through their nations, and ultimately into the United States! In addition, the additional cash locked into the United States would flush the American economy with $Billions, and as Kobach asserts in his interview, it would become a major boost to the US economy! In other words, it would become a win-win for America, and a major incentive for Central American nations, especially Mexico to step up their action on illegal immigration!